For the audiences starved of opera by the Papal ban on staged entertainment their dramatic and theatrical needs were fed by mini-dramas in the shape of chamber cantatas. Featuring some of Handel's most intimate music written for the salons of his Italian patrons, this recital presents continuo cantatas on Arcadian themes, Cupid, shepherds and shepherdesses and their problems of unrequited or unfaithful love, with selected keyboard suites showcasing the harpsichord. This was a particularly productive time for the young Handel as he honed his compositional skills and he later drew on many of these pieces for his later, and now more familiar, works. 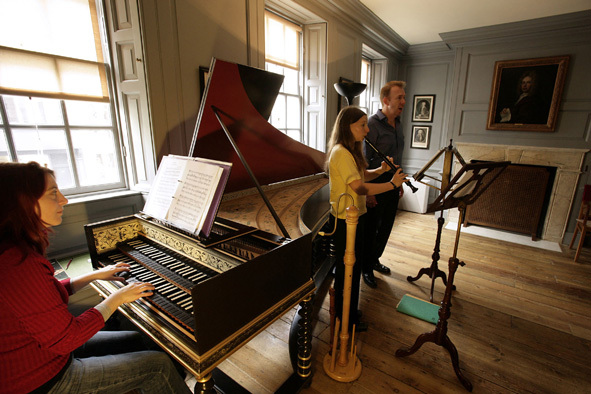 This programme was first devised for, and performed as part of, the London Handel Festival at Handel House Museum.